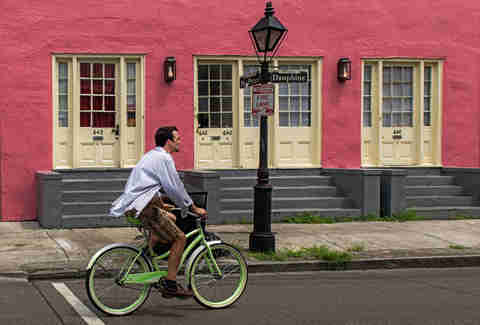 Everybody has opinions about New Orleans -- the laissez-faire attitude, the architecture, the food, the music, the colorful houses, and the characters that populate the Crescent City. New Orleans, on its own merits, is a city that people get irrationally excited about. Nearly 10 million tourists visit every year. And for the million-and-change of us who live here full-time, can you blame us for clinging to a few strong opinions? New Orleanians are natural experts, and most of us unconsciously slip into the role of concierge when we overhear someone say, “Do you know where we can get... ” Ask us for recommendations on where to get oysters, crawfish, king cake, sno-balls, po-boys, pho, Bloody Marys, or a Sazerac, and you’ll get an extremely enthusiastic answer. We can also tell you where to find a great wig, a view of the lake at sunset, a spot on the parade route, and a deal on basically anything you’re looking for. Just ask, y’all! Anyone who moves to New Orleans eventually learns that when someone asks “Where’d you go to school?” they don’t mean college. High school is the thing here, and local playwright Jim Fitzmorris (who went to Jesuit) even enshrined it as one of his seven tips to Crescent City citizenship in his one-man show Be A New Orleanian: A Swearing-In Ceremony. Our high schools are a big deal. If you’re feeling lost, check out the local media’s extensive high school sports coverage, or ask a neighbor at the parade which school has the best marching band. 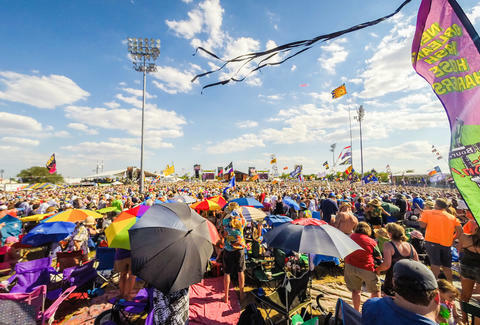 New Orleans is the festival capital of the world: you have Jazz Fest, French Quarter Fest, Voodoo Fest, festivals for creole tomatoes and gumbo, celebrations of oysters. po-boys, king cakes, and fried chicken. Not to mention festivals of comedy, theater, books, burlesque, and sideshow. At the same time, the Crescent City is pious, and many residents still mark the Twelfth Night and Epiphany. People here -- even non-Catholics -- tend to go get ashes the day after Mardi Gras; they might give something up for Lent or look forward to St. Joseph’s Day. We celebrate here, turning out for the flimsiest festival and religiously bound traditions. 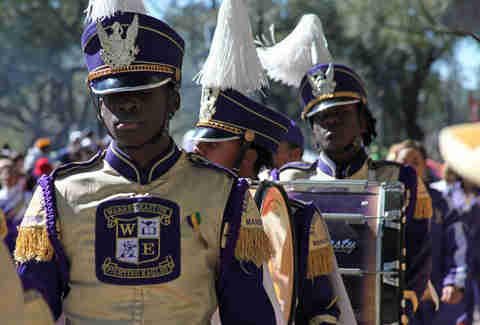 You already know that New Orleanians don’t play when it comes to dressing up. You could spend all day looking at photos of the outrageously intricate costumes we wear on Mardi Gras -- start with the Society of St. Ann and the Bourbon Street costume contest for amazing drag getups. 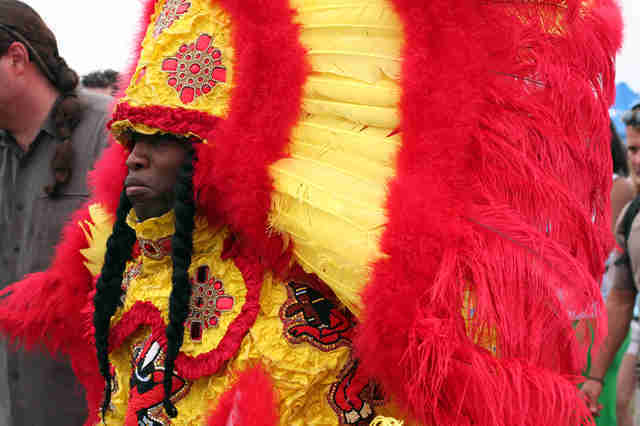 The best costumes are, like Mardi Gras Indians’ handiwork, sewn by hand. But everyone can make just a little bit of magic realism with a hot glue gun, face paint, and glitter. The most important tip: save what you can and put it in the costume closet for another year, when you have less time or inspiration. It gets easier the longer you live here. Grocery store loyalty binds people in neighborhoods throughout the city. 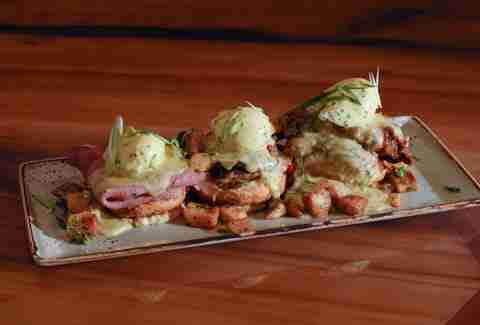 There are the Rouses people who are devotees of the in-house deli meat and seasonal crawfish boils. There are Winn-Dixiens, who like to say to the Rouses people, “Oh, so you’re a millionaire, huh?” There are those tipplers who love a well-stocked bar, and hit up the Dorignac’s for the best deals. We’ve got people who shop at Whole Foods or Canseco’s, or Robert Fresh Market, as well as those who make the haul out for fresh seafood or chicken feet at Hong Kong Food Market, and those who mostly pick up what they need at the Mardi Gras Zone. The other night, I texted a friend of mine to see where to meet for drinks and thought I might convince her to meet me at my neighborhood bar. She told me she was going out in her neighborhood, and so I said that I wouldn’t try to get her to come to my neighborhood. Here’s the thing: we were less than a mile and a half away from each other. New Orleans is not a big city; there are few points inside the metro area that would take more than 30 minutes of travel time. And yet the crossing of arbitrary boundaries is somehow like climbing Everest. Things that "ain't dere no more"
You could say that you truly become a New Orleanian the first time you say “It’s where so-and-so used to be.” That so-and-so could be anything. When I moved to New Orleans in the summer of 2006, people were still talking about the locally owned chain of K&B drug stores, which ended operations in 1997. This impulse is deeper than nostalgia, though. It’s an attempt to interact with history, to remember all the versions of this city that have been destroyed and rebuilt so many times over. A March 2014 story in the New York Times about the influx of artists to New Orleans gave us this beautiful quote from the actress Tara Elders: “New Orleans is not cosmopolitan. There’s no kale here.” Pardon the pun, but we chewed on that one for years. New Orleanians are generally a bit obsessed with depictions of New Orleans, and one of our top pastimes is poking fun at the nonsensical conclusions other people draw about our home -- whether it’s a delightfully and disastrously strange TV show (K-Ville's gumbo parties), off-the-wall movies (Bad Lieutenant: Port of Call New Orleans), or head-scratchingly clueless travel articles. Visit different cities in the United States and take note of their tops. Do you find lots of I Heart NY tees in New York? Is Ithaca awash in citizens lauding its gorges? Are the streets of Richmond, Virginia packed with residents proclaiming their fine state for lovers? Here in New Orleans, we like to wear our civic pride on our chests. So stroll into Dirty Coast, Storyville, Defend New Orleans, or Fleurty Girl (you get the picture) and find the slogan and design for you. It’ll make you look like a local. You find them on makeshift altars throughout the city: glitter-smothered high heels, painted coconuts, and gleaming, glittery purses. Gifts that were passed from hand to hand. A rider in a float dangles a treasure over the edge, then puts it in the clutches of their chosen reveler. These are the talismen of Carnival, and sure, they’re technically worthless. Some people go for Muses shoes, Zulu coconuts, or Nyx purses. 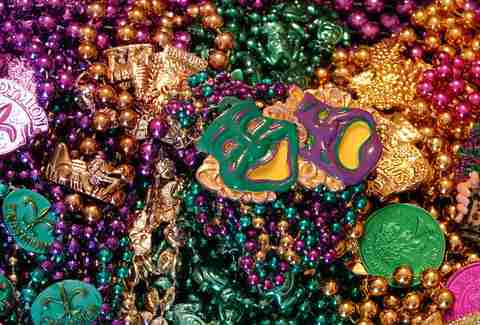 Other people dive for doubloons, or want every custom pair of beads thrown by Rex riders. 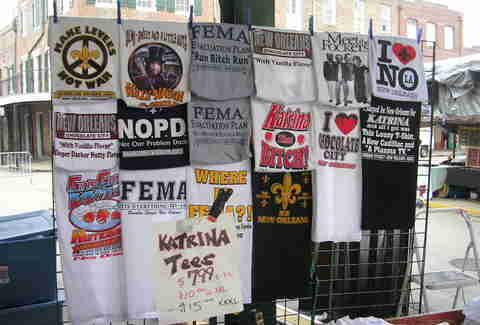 But every New Orleanian keeps a few treasures that could, in other contexts, be mistaken for trash. Cate Root is a writer in New Orleans who loves telling people what to do. Listen to her yap at @cateroot.